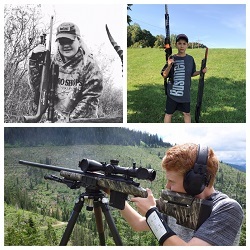 OVERLAND PARK, Kansas - October 22, 2018 - Bushnell, an industry leader in high-performance optics, announces the additions of three Junior Ambassadors to Bushnell’s Sponsored Shooter program. 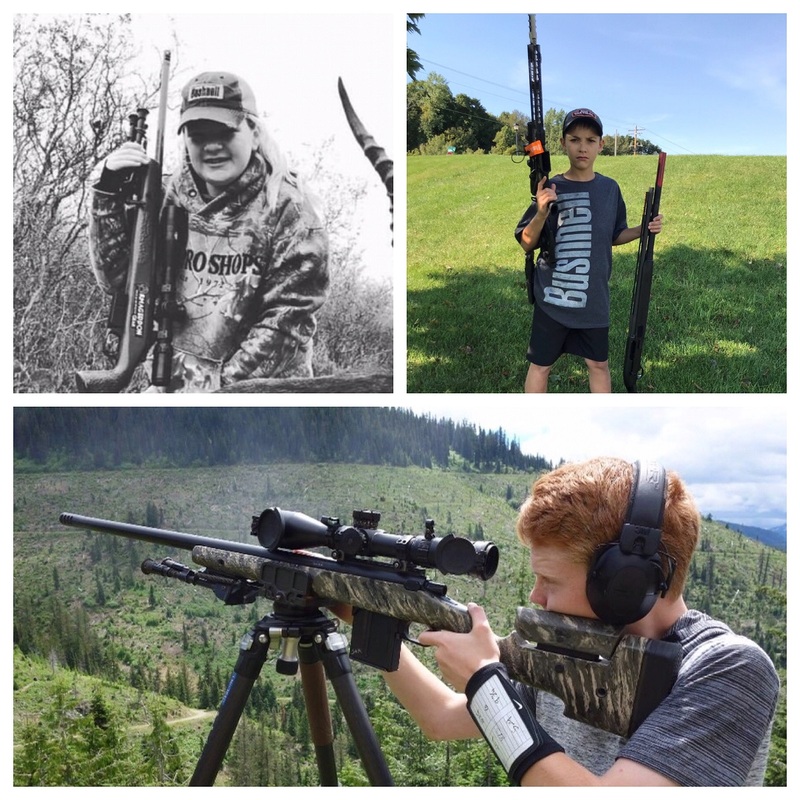 These young shooters will represent the brand and its products at PRS, USPSA and 3-Gun competitions. The three young shooters selected to represent Bushnell are Cabella Fuller, of Georgia; Jake Millard, of Idaho; and Logan Toland, of Minnesota. Cabella Fuller is a 13-year-old PRS shooter who began shooting competitively this year. She competed in a one-day match at Arena and then joined her father, Armageddon Gear’s Tom Fuller, at the GAP Grind Pro/Am. She placed 84 out of 191 amateurs. Her first gun was a .22 bolt-action that she received for her seventh birthday. She is already an accomplished hunter and is a top competitor in softball. On the PRS circuit, Cabella shoots the Elite Tactical DMR-II. Jake Millard is also a 13-year-old who is competing in PRS along with his father—Panhandle Precision’s Sam Millard. Jake has been shooting centerfire rifles and pistols since he was seven. He started big game hunting when he was 10. He shot a local PRS match in June, and followed with another match in July. He will compete in his first national matches in October and November. His optic is a Bushnell Elite Tactical XRS-II. Logan Toland is a 14-year-old USPSA and 3-Gun shooter. He began shooting competitively this year and has already had solid showings at major matches such as the Minnesota Section Championship and Generation 3-Gun Championship. He will be using the Bushnell Elite Tactical SMRS II Pro at multi-gun competitions. Bushnell, is one of the most recognizable and trusted names in precision hunting, tactical and recreational optics and accessories. For more information on our shooting team and ambassadors, visit www.bushnell.com/Community/Ambassadors. Bushnell, a Vista Outdoor brand, has been the industry leader in high-performance sports optics for more than 65 years. Our guiding principle is to provide the highest quality, most reliable and affordable sports optics products on the market. And, our commitment to outstanding customer service and strong retailer partnerships is unmatched. Bushnell boasts leading market share in all of the sports optics categories, and our products have consistently won design and performance awards. Our product lines enhance the enjoyment of every outdoor pursuit from spectator sports, nature study, hunting, fishing and birding to stargazing. For news and information, visit www.bushnell.com or follow us on Instagram at www.instagram.com/bushnell_official/ and Facebook at www.facebook.com/bushnell.